Have you ever dreamed of becoming a millionaire? Well, we’ve got some good news. Get this: It doesn’t matter where you come from or even what kind of job you have. Really! The truth is, ordinary people—just like you—can build extraordinary wealth. Sound too good to be true? Tune in as Ramsey Solutions’ own Chris Hogan shares a sneak peek of his brand-new book Everyday Millionaires and debunks everything you thought you knew about reaching millionaire status. And he’s got rock-solid statistics from the largest study ever conducted on American millionaires to prove it. As any entrepreneur will tell you, bringing a new idea to life can be unpredictable, but best-selling author Scott Belsky says there is one thing you can always count on: a messy middle. And that’s not necessarily a bad thing. In fact, Scott, who has worked with former start-ups like Airbnb, Pinterest and Uber, insists that this volatile time between the start and the finish of a project is the most crucial part of any venture. Tune in to find out why, as well as how to endure the tough moments and optimize the successful ones. entreleadership.com/podcast Buy the book: The Messy Middle Scott Belsky's website #192: Scott Belsky—Making Ideas Happen Making Ideas Happen Necessary Endings Get your Summit Backstage Pass Want expert help with your business question? Call 844-944-1070 and leave a message or send an email to podcast@entreleadership.com. You could be featured on a future podcast episode! According to a recent Gallup poll, only 33% of workers in the United States are engaged in their jobs—which means you’ve likely got some unhappy, unmotivated people in your own organization. The solution, says best-selling author and leadership expert Patrick Lencioni, starts and ends with simply showing your team members that you care about them. Tune in as Pat shares the three things everyone needs in order to love their work. entreleadership.com/podcast The Truth About Employee Engagement by Patrick Lencioni Patrick Lencioni's website The Proximity Principle Get your Summit Backstage Pass Want expert help with your business question? Call 844-944-1070 and leave a message or send an email to podcast@entreleadership.com. You could be featured on a future podcast episode! If you regularly struggle to get to the bottom of your to-do list and think the solution is finding more hours in the week, best-selling author Michael Hyatt says you’re wasting your time. Instead, the leadership and personal growth expert insists that the key to achieving more is to actually do less. Tune in as Michael shares his three-step process for taking control of the time you have so you can become more focused and productive—and infinitely less overwhelmed. Now that’s what we call a win-win. entreleadership.com/podcast Buy the book: Free to Focus Michael Hyatt's website The Power of a Positive No Living Forward Your Best Year Ever Mihaly Csikszentmihalyi's Ted Talk: Flow, The Secret to Happiness The Eisenhower Matrix Download: A 7-Day Plan to Triple Your Productivity Download: 5 Ways a Virtual Assistant Can Change Your Life from Belay Solutions Want expert help with your business question? Call 844-944-1070 and leave a message or send an email to podcast@entreleadership.com. You could be featured on a future podcast episode! After hitting the New York Times best-seller list in 2018 and with a 500% revenue increase for her company expected this year, Rachel Hollis isn’t slowing down anytime soon. But the founder of The Hollis Company is quick to point out that she has been anything but an overnight success. Join us to hear Rachel make the case for fiercely owning your dreams, listening to your tribe, and staying true to your vision as you build your business. If you’re chasing a big goal of your own, stay tuned as Dave Ramsey joins us to share the key to becoming unstoppable. entreleadership.com/podcast Rachel Hollis' website Buy the books: Girl, Stop Apologizing and Girl, Wash Your Face #253: Rachel Hollis—7 Solid Social Media Strategies Join our free 12 Days of Growth challenge Want expert help with your business question? Call 844-944-1070 and leave a message or send an email to podcast@entreleadership.com. You could be featured on a future podcast episode! While the influence of word of mouth on customer behavior is not particularly surprising, what New York Times best-selling author Jay Baer does find shocking is that few companies bother to build any sort of strategy around it. And that, he says, is a huge missed opportunity. Join us as Jay gets super tactical and breaks down exactly how to create talk triggers, also known as the strategic choices you make to get your customers talking about your product or service. Also joining us is EntreLeadership Senior Vice President Sarah Sloyan with insight on the unexpected power of moments. entreleadership.com/podcast Buy the book: Talk Triggers Jay Baer's website #81: Jay Baer—Why Smart Marketing Is About Help Not Hype #259: Dan Heath—Moments That Change Lives The Power of Moments Enter to win a coaching session with Sarah Sloyan EntreLeadership Reading Guide 17 Mistakes Leaders Make With Support Staff from Belay Solutions Want expert help with your business question? Call 844-944-1070 and leave a message or send an email to podcast@entreleadership.com. You could be featured on a future podcast episode! Whether you’re just starting your career, own your own business or are firmly established in the C suite, we all have one thing in common: people problems. It’s just like Dave says, “Business is easy until people get involved.” Tune in as EntreLeadership Senior Vice President Sarah Sloyan answers listeners’ questions about everything from where to find the best people for your team to course correcting and resolving conflict. We might just have the answer you’ve been looking for. entreleadership.com/podcast Enter to win a coaching session with Sarah Sloyan Get your podcast listener discount for EntreLeadership Summit Want expert help with your business question? Call 844-944-1070 and leave a message or send an email to podcast@entreleadership.com. You could be featured on a future podcast episode! Even if your work has nothing at all to do with aviation, the lessons former Navy fighter pilot Carey Lohrenz learned in the cockpit are universal—and will change the way you do business. Tune in as Carey, the first female F-14 Tomcat pilot, shares her thoughts on building a culture of excellence, overcoming fear, and the importance of finding focus. Leadership consultant Dr. Henry Cloud also joins us with a story about his personal experience flying in a fighter jet. Let’s just say flying at twice the speed of sound is not for the faint of heart! And finally, Patrick Lencioni, Founder and CEO of The Table Group, debunks the myth that good employees are impossible to find. entreleadership.com/podcast Fearless Leadership: High-Performance Lessons From the Flight Deck Henry Cloud's website Patrick Lencioni's website Get your podcast listener discount for EntreLeadership Summit Want expert help with your business question? Call 844-944-1070 and leave a message or send an email to podcast@entreleadership.com. You could be featured on a future podcast episode! We’re so excited to share highlights from our recent EntreLeadership 1-Day event! Over 1,000 small-business owners and leaders from around the country joined us in Grand Rapids, Michigan, to pour into themselves and their businesses. Tune in to hear Dave Ramsey explain why taking your time—our process has 12 steps—is the most important part of hiring the right people for your team. We’ll also hear from Ramsey Solutions’ own Christy Wright on the importance of building a motivated team. And finally, Dave and Ken Coleman answer attendees’ questions on everything from navigating roles in a family business to asking the right questions when interviewing potential team members. Get ready to take a lot of notes! entreleadership.com/podcast Dave Ramsey's website Ken Coleman's website Christy Wright's website Get more information about EntreLeadership Summit Free download: The EntreLeader's Guide to Hiring Want expert help with your business question? Call 844-944-1070 and leave a message or send an email to podcast@entreleadership.com. You could be featured on a future podcast episode! What’s the one skill that all great leaders have in common? They’re master communicators. And on this week’s episode, we have one of the best. Craig Groeschel, founder and senior pastor of Life.Church—one of the largest churches in America—joins us to share his tips on how to sharpen your communication skills. He says it’s all about what you want people to know, how they should feel and how you’re going to lead them toward action. Staying on the subject of communication, Ken interviews two of Ramsey Solutions’ long-time leaders on the importance of staff meetings and how to do them well. entreleadership.com/podcast Craig Groeschel's website Corporate Lifecycles by Ichak Adizes Predictable Success by Les McKeown Download: Team Communication Field Guide Want expert help with your business question? Call 844-944-1070 and leave a message or send an email to podcast@entreleadership.com. You could be featured on a future podcast episode! Whether we like it or not—and sometimes, in spite of our best intentions and best efforts—failure is unavoidable. But that’s not necessarily a bad thing, says filmmaker Jon Erwin, whose production company makes faith-based, inspirational feature films. In fact, he insists if you examine failure closely—think an uncomfortable, really honest look—you may very well find the keys to your next big success. Tune in as Jon shares how doing just that helped him learn from a crushing box office loss in 2015 to go on to make the highest-grossing independent film of 2018. Also joining us is Craig Groeschel, founder and senior pastor of Life.Church, with an invaluable lesson on the power of feedback. entreleadership.com/podcast Feature films: Woodlawn and I Can Only Imagine Jon Erwin's website Outliers: The Story of Success by Malcolm Gladwell Principles: Life and Work by Ray Dalio Traction by Gino Wickman Craig Groeschel's website Thanks for the Feedback by Douglas Stone and Sheila Heen Download: Leadership Growth Assessment Want expert help with your business question? Call 844-944-1070 and leave a message or send an email to podcast@entreleadership.com. You could be featured on a future podcast episode! News flash: When it comes to running a business, you can’t do it all. Sure, you can survive 90-hour work weeks for a season, but ultimately if you’re interested in building a business bigger than you, you’re going to have to delegate. And it’s not as simple as telling someone else to do something for you and hoping for the best. Tune in to hear Dave Ramsey explain the 10 basics of delegation, the same ones that helped him build his business from scratch and develop it into an international brand with more than 800 team members. Also joining us are Ramsey Solutions’ own Daniel Tardy and Sarah Sloyan who share why—and how—to develop new leaders within your organization. And finally, StoryBrand CEO Donald Miller weighs in on the undeniable value those leaders add to your bottom line. If you’re feeling even the least bit overwhelmed, don’t miss this powerful episode. entreleadership.com/podcast Want more content like Dave's lesson on delegation? Join us this fall at EntreLeadership Master Series. 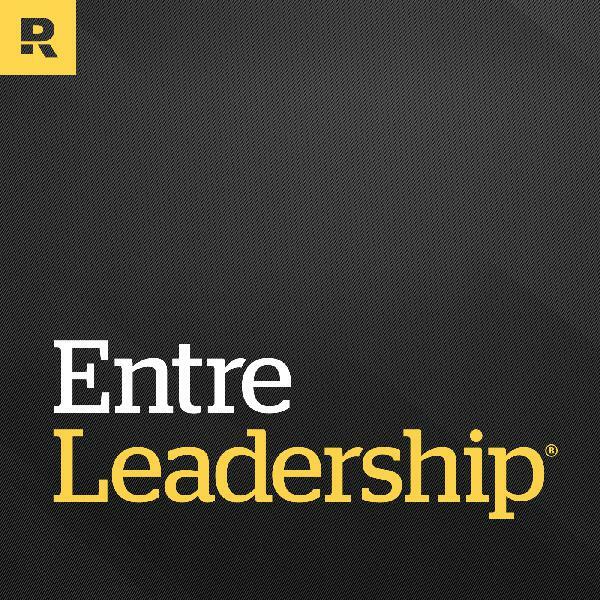 Download The EntreLeader's Guide to Delegation Podcast listener discount: $20 off EntreLeadership 1-Day Donald Miller's website Want expert help with your business question? Call 844-944-1070 and leave a message or send an email to podcast@entreleadership.com. You could be featured on a future podcast episode! Core values can be tricky. So many companies are quick to say they have them, but if you ask best-selling author and StoryBrand CEO Donald Miller, too few actually mean much of anything. And the reason is simple: They fail to answer three things that every team member wants—and needs—to know. Tune in to hear Donald explain exactly how to get your core values right so they inspire and motivate your team, not create mass confusion. entreleadership.com/podcast Donald Miller's website Ken Blanchard on A Leadership Vision for America Free download: How to Create Core Values 9 Questions to Ask When Interviewing an Executive Assistant from Belay Solutions Want expert help with your business question? Call 844-944-1070 and leave a message or send an email to podcast@entreleadership.com. You could be featured on a future podcast episode! #304: Are Core Values Worthless? While chitchatting about the latest office rumor or griping about a coworker’s incompetence may feel harmless, New York Times best-selling author and leadership expert Stephen Mansfield says it’s anything but. In fact, gossip breeds distrust and can quickly spiral out of control, robbing your organization of morale, productivity and creativity. Join us as Stephen shares four things that every leader must do to shut down gossip for good. entreleadership.com/podcast Stephen Mansfield's website Free resource: No Gossip Implementation Guide Learn more about EntreLeadership Master Series Want expert help with your business question? Call 844-944-1070 and leave a message or send an email to podcast@entreleadership.com. You could be featured on a future podcast episode! If you tend to blame yourself for your bad habits, New York Times best-selling author James Clear says you’re wasting your time. Not only does such behavior create feelings of guilt—which, by the way, are pretty counterproductive—but it also does nothing to get you any closer to achieving your goals. Tune in to hear James explain the real cause of bad habits (translation: You’re off the hook! ), as well as some super easy strategies to help you break them and replace them with good ones. We think you’ll be amazed at how even the tiniest change can lead to really remarkable results. entreleadership.com/podcast Buy the book and get free bonuses: Atomic Habits Download a chapter of Atomic Habits 7-Day Plan to Triple Your Productivity Free worksheet from Belay Solutions: Things to Delegate to Save 15 Hours This Week Want expert help with your business question? Call 844-944-1070 and leave a message or send an email to podcast@entreleadership.com. You could be featured on a future podcast episode! Have you ever dreamed of becoming a millionaire? Well, we’ve got some good news. Get this: It doesn’t matter where you come from or even what kind of job you have. Really! The truth is, ordinary people—just like you—can build extraordinary wealth. Sound too good to be true? Tune in as Ramsey Solutions’ own Chris Hogan shares a sneak peek of his brand-new book Everyday Millionaires and debunks everything you thought you knew about reaching millionaire status. And he’s got rock-solid statistics from the largest study ever conducted on American millionaires to prove it. entreleadership.com/podcast Buy the book: Everyday Millionaires Chris Hogan's Net Worth Calculator Chris Hogan's website Financial Peace University Free trial from Infusionsoft Want expert help with your business question? Call 844-944-1070 and leave a message or send an email to podcast@entreleadership.com. You could be featured on a future podcast episode! A retired Navy SEAL and one of the world’s top endurance athletes, David Goggins doesn’t know the word “quit.” But that wasn’t always the case, and understandably so. After surviving a childhood of unimaginable physical abuse, poverty and prejudice, David says that failure had become the narrative of his life. That all changed when he decided to run toward his fear and, against all odds, became a Navy SEAL. Join us as David shares his unforgettable journey that will inspire and move you—and prove that anything is indeed possible. entreleadership.com/podcast Buy the book: Can't Hurt Me Dave Ramsey teaches on The Power of Intentionality #142: Jesse Itzler-Breaking the Routine to Get Better #226: Jocko Willink-The Discipline Advantage #154: Jocko Willink-How to Lead and Win the Navy SEAL Way Want expert help with your business question? Call 844-944-1070 and leave a message or send an email to podcast@entreleadership.com. You could be featured on a future podcast episode! From tackling the right reasons to lead and the danger of complacency to figuring out how and why to drive innovation, we’ve covered a lotof ground in 2018. So much, in fact, that it’s near impossible to pick a favorite episode. But guess what? You don’t have to! We’ve compiled a comprehensive roundup of the year’s episodes that did what the best ones always do: inform and inspire, change our perspective, and challenge us to stretch ourselves. Trust us, they’re well worth a second (or third!) listen. Dr. Marshall Goldsmith—4 Ways to Win Now The Rundown:After years spent traveling the globe working with top CEOs, world-renowned leadership coach and best-selling author Dr. Marshall Goldsmith has discovered a universal truth: We all make mistakes. Luckily, there are four behaviors you can adopt right now that can help put you on a more successful—and likely more profitable—leadership path. Top Takeaway:Although Marshall’s advice is simple and straightforward, lasting change takes time—and some pretty major commitment and determination. Favorite Quote:“Stop asking for feedback and then expressing your opinion.” – Dr. Marshall Goldsmith Patrick Lencioni—Lead for the Right Reasons The Rundown:If you think being a leader is all about personal glory, fame and wealth, best-selling author and leadership expert Patrick Lencioni says you have it all wrong. Join us to hear Pat explain what he calls the only valid form of leadership, as well as the four things that only a leader can—and must—do. Top Takeaway:As the leader, if you aren’t doing the hardest things, you aren’t doing your job. Favorite Quote:“What we need to do is make it unacceptable for people to be leaders if they think it’s about them.” – Patrick Lencioni Dan Heath—Moments That Change Lives The Rundown:In a world where we’re all constantly trying to craft experiences—like that of our customers, patients, users, you name it—New York Timesbest-selling author Dan Heath has figured out how to get it right. The science behind Dan’s four essential elements of experience is as fascinating as the results they elicit. Top Takeaway:The most memorable moments usually don’t involve grand gestures or over-the-top gimmicks. Favorite Quote:“In a minute, you can change someone’s life. That is a power that I think many of us are not aware that we have, and certainly aren’t using the way that we can.” – Dan Heath Charles Koch—The Danger of Complacency The Rundown:Ever since taking over his family’s business at age 25, Charles Koch has been guided by a singular mantra: Success is one of the biggest enemies of success. Tune in as Charles explains why complacency is never an option and what you need to do to outpace your competition. Top Takeaway:We all need to be lifelong learners, always striving to find new ways to deliver unparalleled value for our customers. Favorite Quote:“Our philosophy is however well we’re doing as individuals in our roles or as a business, it can be done better. You need to constantly be striving to improve.” – Charles Koch Carmine Gallo—The No. 1 Skill You Need Now The Rundown:In the age of automation and artificial intelligence, there is one skill that has yet to be replicated by a robot: persuasive communication. Best-selling author Carmine Gallo calls it theskill that makes you irreplaceable in business today. Join us to learn two easy ways to up your communication game. Top Takeaway:Your value is in your ideas, but ideas don’t sell themselves. Your success depends on your ability to communicate well. Favorite Quote:“If you cannot advocate and champion your ideas persuasively, they’re not going to matter.” – Carmine Gallo Bobby Gruenewald—Find a Way, Not an Excuse The Rundown:Even if the odds are stacked against your next big idea—no budget, no time, no scope—you may be in a much better position than you think. Tune in to hear Bobby Gruenewald, Innovation Leader at Life.Church, explain why limited resources force you to become more creative and innovative. Top Takeaway:Money is not always the solution to the problem. Surprisingly, an unlimited budget may actually limityour success. Favorite Quote:“Innovation happens within constraints.” – Bobby Gruenewald Charles Duhigg—Ignore Conventional Wisdom The Rundown:If you ask New York Timesbest-selling author Charles Duhigg, many of the most innovative ideas today aren’t exactly original—and he’s got plenty of evidence to prove it. Join us as Charles breaks down the highly effective habits of creative people so you can learn how to drive innovation in your organization. Top Takeaway:The most creative, ground-breaking solutions are often the result of bringing old solutions to new problems. Favorite Quote:“When we give ourselves permission to take risks, to ignore convention, that’s when oftentimes we have our most creative ideas.” – Charles Duhigg Ken Coleman—6 Stages of Self-Discovery The Rundown:A self-proclaimed professional question asker, Ken Coleman—host of the EntreLeadership Podcast and The Ken Coleman Showon Sirius XM—has conducted hundreds of interviews and has concluded that most of us are in pursuit of the same thing: significance. Tune in as Ken walks us through his six-stage method of getting to what he calls the “sweet spot”: a pursuit that combines your greatest talent with your greatest passion. Now that’s what we call a dream job. Top Takeaway:Asking questions (and lots of them!) is the secret to finding your path. Favorite Quote:“Step into the confidence of the unknown.” entreleadership.com/podcast EntreLeadership Reading Guide (100 book recommendations!) Harness Your Inner Genius from Infusionsoft Want expert help with your business question? Call 844-944-1070 and leave a message or send an email to podcast@entreleadership.com. You could be featured on a future podcast episode! As we all begin to look forward to 2019, we couldn’t think of a better way to close out the year than by answering some questions from our listeners. Tune in as host Ken Coleman and Ramsey Solutions Senior Vice President Daniel Tardy talk about everything from career advancement and idea generation to dealing with failure. Who knows, we might just have the answer you’ve been looking for too. entreleadership.com/podcast The Power of the Other by Dr. Henry Cloud Sometimes You Win—Sometimes You Learn by John C. Maxwell Daniel Tardy's book recommendation: Dare to Lead Ken Coleman's book recommendation: The Power of Moments EntreLeadership Reading Guide (100 book recommendations!) Personalized Growth Planner from Infusionsoft Want expert help with your business question? Call 844-944-1070 and leave a message or send an email to podcast@entreleadership.com. You could be featured on a future podcast episode! When it comes to growing your career, marketing guru and best-selling author Seth Godin insists you have much more leverage than you think. Sure, it’s easy to blame a toxic environment, an unreasonable boss, or even not being in charge for your lack of advancement or personal development. But in reality, Seth explains, all of those things are just excuses. Tune in for his advice on how to overcome the obstacles you think are standing between you and your desired future. We’ll also share a lesson from Dave on why not making decisions—even the controversial ones—could cost you everything. entreleadership.com/podcast Buy Seth's book: This Is Marketing Learn more about Seth's altMBA workshop Seth's blog posts: A Sprint and The World's Worst Boss Theodore Roosevelt's speech: The Man in the Arena Free tool from EntreLeadership: How to Make Decisions Office Automation Guide from Infusionsoft Want expert help with your business question? Call 844-944-1070 and leave a message or send an email to podcast@entreleadership.com. You could be featured on a future podcast episode! Twelve years ago, Wendy and Jay Papasan made a decision to get intentional about their shared goals, and they’ve never looked back. In fact, they are so passionate about casting a vision for their life that they now hold goal-setting retreats to teach other couples to do the same. Tune in to find out how this easy-to-do practice can change everything—it helped Wendy and Jay become net-worth millionaires in only 10 years—and how to do it yourself. entreleadership.com/podcast Wendy & Jay Papasan's Couples Goal Setting Retreat EntreLeadership Goal Tracker How to Achieve Work/Life Balance from Infusionsoft Want expert help with your business question? Call 844-944-1070 and leave a message or send an email to podcast@entreleadership.com. You could be featured on a future podcast episode!